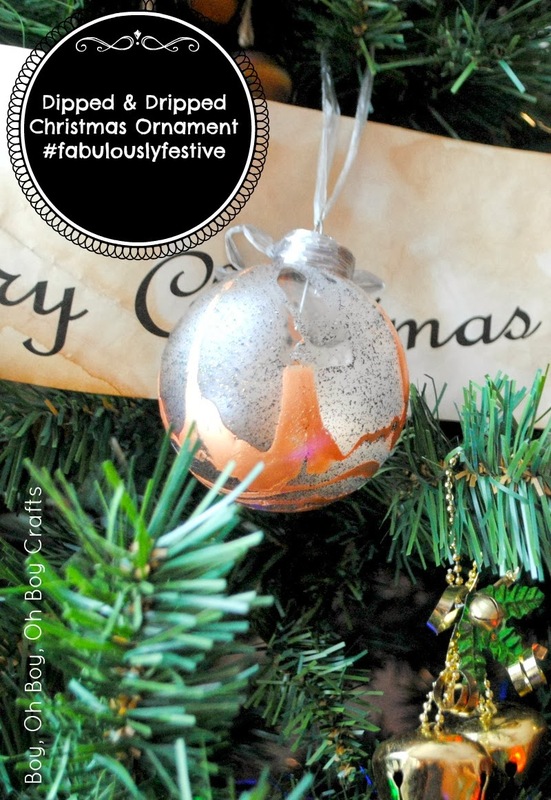 I’ve teamed up with Joann Fabric and Craft Stores for this quick and easy DIY ornament in honor of the #fabulouslyfestive portion of their Celebrate the Season Campaign. Do you need a last minute Christmas gift idea? 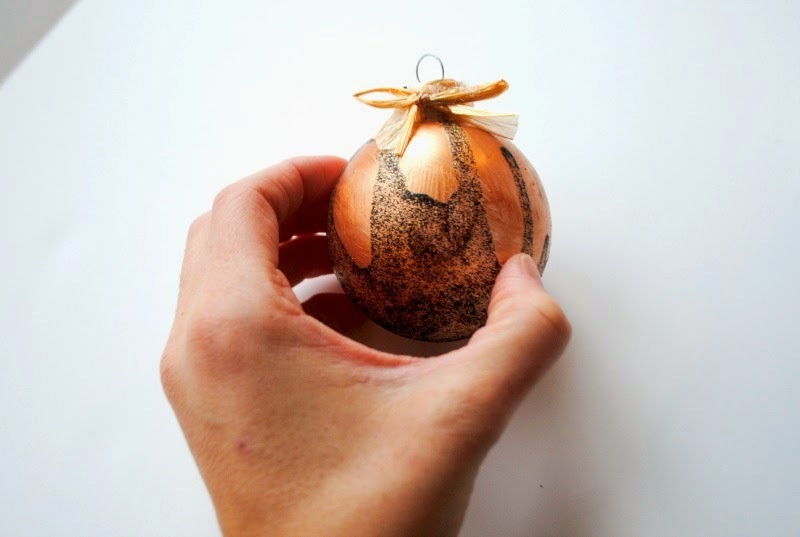 Or do you, like me, try to add a small touch of handmade to your tree each year? 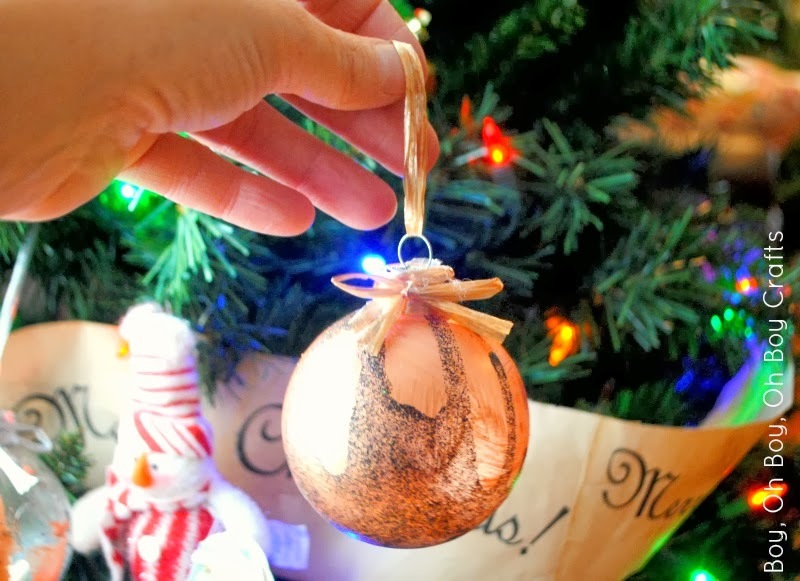 Then you’ll love this super quick and easy dripped and dipped Christmas ornament tutorial. 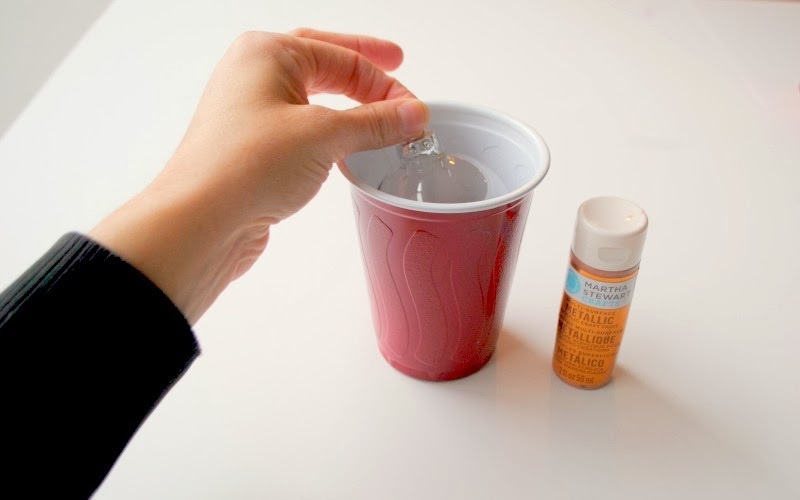 Pour a small or large amount of your base color into a plastic cup. The deeper the paint, the further up the ornament it will show. Let dry. 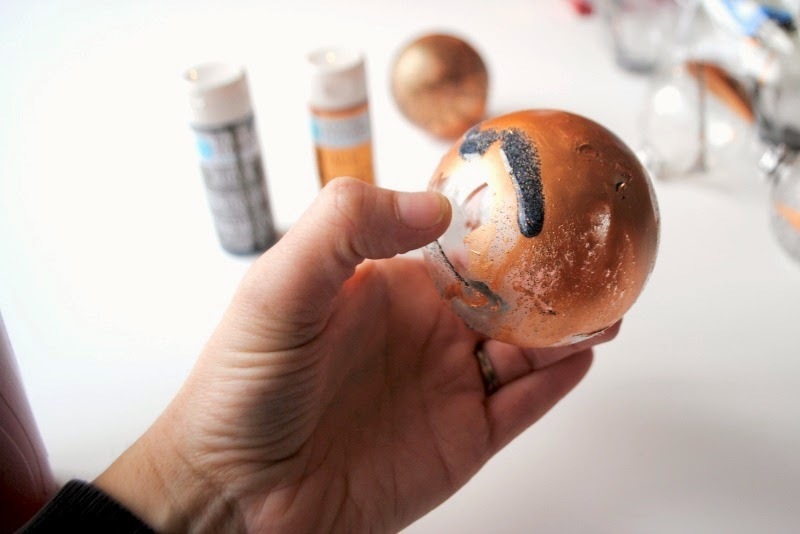 Now get your paint brush thickly covered with paint and drip over the base color. Swirl the ornament a bit to get the dripping started, then place in the plastic portion of the ornament box and let dry. 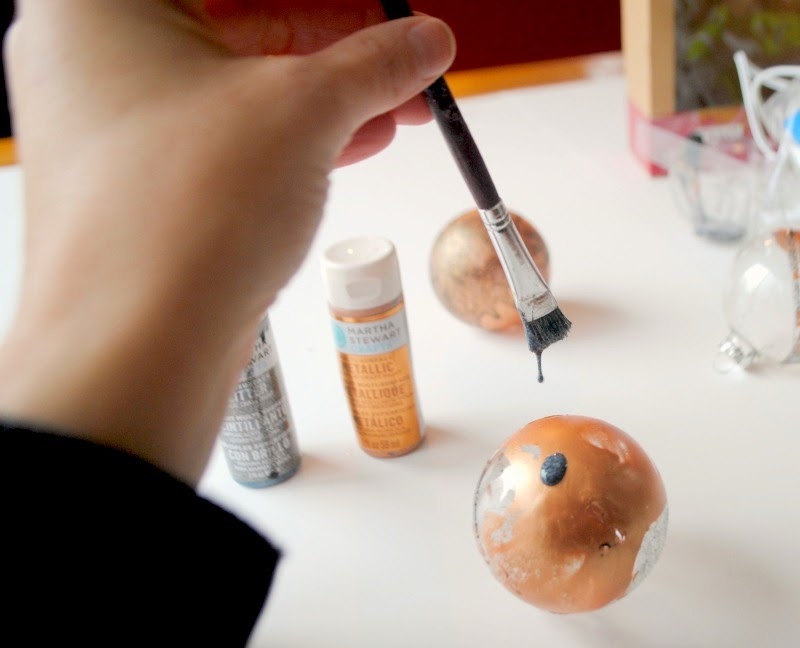 As the paint sits on the spherical glass ball, the magical dripping will take care of itself thanks to our friend gravity. 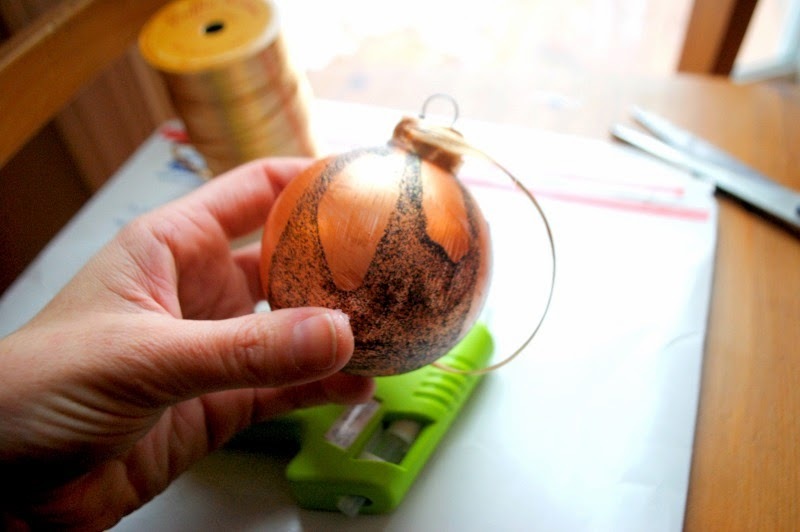 Cut a piece of raffia, place a small dot of glue on the ornaments metal top. Lay one end of the raffia on the glue then slowly wrap, covering up the sides of the metal piece. Finish off by adding another drop of glue if your raffia ends in another spot. Tie a bow using another piece of raffia and secure it with a drop of glue. Now go hang that bad boy on the tree! Want to make a set of your own? 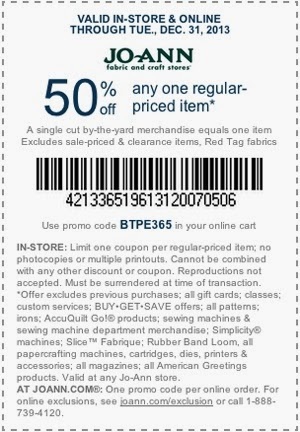 Use the Joann Fabric and Craft coupon below to get 50% off. ** Disclosure ** This post is a part of Jo-Ann Fabric and Craft Store’s Celebrate the Season holiday campaign. I received compensation in the form of a gift certificate to buy the supplies for this post. All words and opinions are my own.